This paper develops a two-period sales model to investigate the competitive effects of purchase-based targeted advertising. In the model, two competing firms gain consumer information during the first period sales, which allows them to target advertising based on consumer purchase history. Advertising is assumed to be persuasive in terms of consumer valuation enhancing and product differentiation increasing. The authors find that the firm’s ability to target can damage industry profits, consumer surplus, and even social welfare. The conditions under which targeted advertising is positive or negative are derived, showing that price competition is softened in the second period but intensified in the first. It is suggested that firms under competitive environments cautiously sponsor targeted advertising with appropriate contents. The development of the Internet as a one-to-one medium and the increasing use of sophisticated information-related skills to gather, store and analyze consumer information have unimaginably helped firms to segment a heterogeneous market through consumers' past behaviors, and accordingly to initiate individual marketing approaches in subsequent periods. Behavior-based marketing is practiced as various forms such as price conditioning, product customization, service personalization, and advertising targeting. 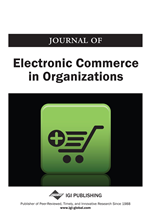 This paper focuses on the purchase-based targeted advertising, which has been widely adopted, for example, by Amazon, eBay, YouTube, DoubleClick, Google, to name a few. Targeted advertising is generally carried out via two main forms, namely, contextual advertising and behavioral advertising. Contextual advertising refers to the advertising on a website or other media that is targeted to an internet user based on what he or she is currently viewing (e.g., Kenny & Marshall, 2000). To be different, behavioral advertising refers to the advertising that is targeted to an internet user by collecting data on the specific individual's behaviors such as browsing habits, search keywords, and purchase histories (e.g., McDonald & Cranor, 2010). Obviously, purchase-based targeted advertising is a specific form of behavioral advertising, the crucial operation mechanism of which is that how to recognize customers based on collected data. However, previous academic research on targeted advertising either ignores the data collecting process (for example, Ben Elhadj-Ben Brahim, Lahmandi-Ayed, & Laussel, 2011 focus on the markets where all the data needed to target an ad has already known by each firm ex ante) or does not consider the customer recognition process (for example, Iyer, Soberman, & Villas-Boas, 2005 focus on the markets where heterogeneous consumers have been identified by each firm ex ante). This ignorance motivates us to try to fill this gap by investigating that how firms use consumer purchase data to sponsor targeted advertising. We establish a two-period duopoly model with forward-looking firms and myopic consumers. In the first period, the two firms compete for and divide the market with a uniform price. In the subsequent period, with information about consumers' purchase histories revealed during the initial period, each firm is able to target advertising toward their old customers and to price discriminate between the new customers and the old ones. Advertising is assumed to be persuasive in the way that consumer valuation is enhanced and product differentiation is increased. The first element implies that the content of advertising is designed to emphasize the high value of one’s own product, while the second element is more applicable to the content which is designed to highlight the differences among competing brands. By proposing such a model, we can discuss the influence of consumer information gathering on each firm’s targeted advertising strategy. Our model holds a persuasive view on advertising; hence it applies to mature markets where consumers know the existence of each brand but are easily affected by the content of an ad. Our model allows firms to price discriminate between different consumer segments; hence it applies to most of the highly competitive industries such as supermarkets, hotels, airlines, online sales, and so forth.